Cory is the Chief Market Strategist of Ripple. 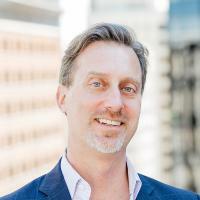 In his current role, Cory is focused on managing the company’s growth and telling Ripple’s story to regulators, Wall Street and global financial markets. Prior to Ripple, Cory worked as a hedge fund portfolio manager at Kingsford Capital Management and journalist at Bloomberg and CNBC covering high-growth technology companies. Earlier in his career Cory ushered in many startups, including theStreet.com, the Industry Standard, SLAM and Vibe magazines.